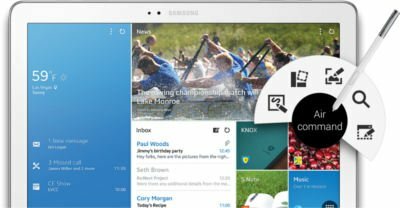 Samsung Galaxy Note Pro: is the super-sized tablet for you? In CES 2014, Samsung finally unveiled the largest tablet they ever made: the 12.2″ Galaxy Note Pro. For Galaxy Note family, Galaxy Note Pro is a new member, of course, a super-sized member. Although Galaxy Note series always are proud of their sizes (5.3″, 5.5″, 5.7″, 8″ and 10.1″), some may wonder whether the 12.2″ screen in Galaxy Note Pro is too big. In this post, I will share with you our comments (not reviews yet) of Galaxy Note Pro. The official specs of Galaxy Note Pro are really impressive. But this is not surprising, because Samsung always put the best hardware (except camera) on Galaxy Note series. Just for your information, here are the official specs of Galaxy Note Pro. Is Galaxy Note Pro the best tablet? Hardware specs surely put Galaxy Note Pro in the top tier of tablets. But tablet is not just hardware: it is about user experiences. In addition to hardware specs, Galaxy Note Pro have some distinct advantages over any tablet in the market. So, Galaxy Note Pro may be the best tablet for some users. When the 12.2″ tablet was rumored last year, the first reaction of most people was “it is nice but it is simply too big”.